It may surprise many of you that I believe Microsoft may have been ahead of the game when it introduced the Zune and the Welcome to the Social campaign a few years ago. Granted, back then no one knew what the hell the software giant was talking about, but today, with digital comics about to bust wide open in a big way, applications like Comics by ComiXology, and companies like BOOM! 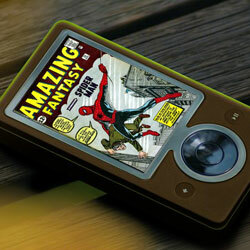 Studios, DC Entertainment, and Marvel might want to revisit the Zune. Anytime someone says ‘file sharing’ most of the rest of the message is bound to be lost, but instead of looking at shared files as stolen content, let’s consider a way to share a file legally for a limited amount of time. 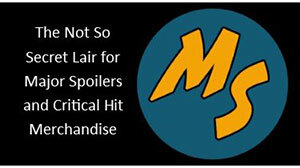 One of the great things about physical comic books is we as readers are free to give our copy to someone so they can experience the greatness in characters like Spider-Man, Superman, Wolverine, and Batman, or expose others to writers like Neil Gaiman, Grant Morrison, Mark Millar, and Mark Waid. It’s through this exchange of a physical object that others become interested in the subject matter, want to learn or read more, and thus go out and pick up a new issue at the local comic book shop or book seller. But as Lawrence Lessig points out in his book Remix: Making Art and Commerce Thrive in a Hybrid Economy (2008), when the world moved from an analog world to a digital one, where bits don’t degrade and a copy of a music file is just as good as the original, businesses and creators instantly saw a world where they could lose money by someone sharing a file. For better or worse, the music, film, and television industry have figured out how to make digital distribution work for them by finding the right price point, making the information readily available, and filling those files with accursed digital rights management (DRM). Today, companies are discovering that people are more than willing to pay less than a dollar for a digital copy of a song that is properly encoded, comes with additional material (liner notes and cover art), and doesn’t result in a nasty letter from the Recording Industry Association of America (RIAA). 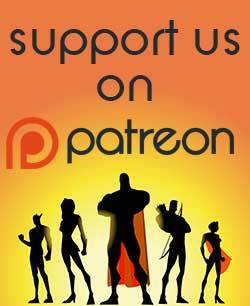 The comic book industry is going through the same digital transition that cost the music and film industry millions of dollars, and while preserving the comic book shop, full of physical copies of the latest and greats issues, should continue to be a topic of discussion, bringing in a new group of readers through digital distribution should be the priority. An MP3 file is nowhere near the quality of an analogue recording, and depending on how it is compressed, the sound quality could suffer even more. Kids these days don’t necessarily care about the quality of the encoding – they listen to digital music through cheap and often crappy ear-buds – they just care about getting the content and being able to share the experience with their friends who are busy listening to the exact same song on their digital music player. Of course if a song is encoded poorly, it is noticed and will eventually be rejected, but the very nature of a digital song already puts the MP3 at a disadvantage over a 30ips eight track recording of the same song. It’s the content the audience wants. It’s the ease of access to the content that makes it acceptable, and if the content is mind-blowing, the audience will talk about it. They will seek out more songs by that particular artist, and are willing to pay for it. And as odd as it sounds, as anti-social as an MP3 player is, it actually serves as a way for people to connect socially once they have a common vector for discussion. By the time Microsoft introduced the Zune, Apple had pretty much secured the top spot as the de facto portable media player company. While Steve Jobs would like us to think the iPod and iPad are the end-all-be-all god device, the Microsoft Zune actually showed those devices up with its Welcome to the Social campaign. With built-in wireless technology, certain models of the Zune allowed users to legally share full-length music tracks with their friends with the same device. These digital copies didn’t come completely free; shared tracks could only be played three times over three days on the recipient’s device before the file would become non-playable, forcing the listener to buy the song from the Zune Music Store or delete the file from their device. Why can’t the same thing be done with digital comics? ComiXology has already solved part of the problem of reading digital comics only on the iPod and iPad with the introduction of the Comics by ComiXology desktop app that allows users to purchase digital comics on their iPad and read it on their desktop and vice versa. 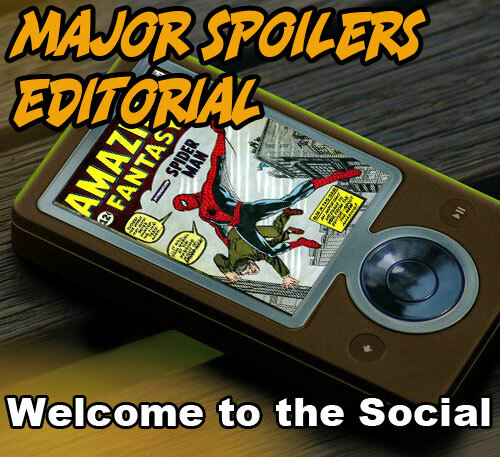 By adopting the same thought process used by the Zune player, digital comics could easily and legally be shared. 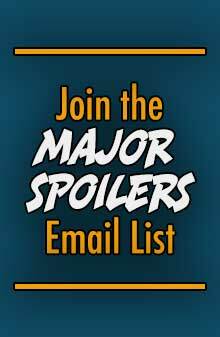 A recent poll on the Major Spoilers website shows that most comic book readers will read their purchased titles more than once. With a sharing option built into an app like Comics by ComiXology and Comics+ from Iverse Media, readers could share the latest copy of Daredevil with their fellow digital comic friends, the recipient could read the comic once, and if they wanted to read it again, would need to purchase it from the in-app store. Granted, some people may want to only read a comic once, but our recent poll shows those people are few. If ten thousand digital copies of Batman #700 could be shared legally, with a built in time limit, and only 50% of those people purchased that issue so they could read it again, then that is an additional $10,000 gross with very little effort done on the part of the publisher. And of those 5,000 readers, what if 50% of those purchased 11 more issues of Batman over the course of the year? That’s $120,000 added to the bottom line take for the publisher. Depending on how writers, artists and the rest of the creative team worked their contracts, there is potentially more money filtering down to them as well. Instead of spending thousands in advertising, the social network that Microsoft tried to make a success for the music industry could be all the free advertising a comic book publisher needs in order to increase sales. In his recent Harvey Awards Keynote Speech, Mark Waid said he was working on, and looking for, ways to make digital comics and the sharing work, he just needs to find the answer. The answer may already be right in front of Mr. Waid, and everyone in the form of an ill-timed and confusing campaign cooked up by Microsoft four years ago when it tried to dethrone the king of all music players. It’s funny. I remember when MS came up with the Zune, it seemed like there was an immediate shove to obscurity fueled by the iPhone debut. It’s like the device has become synonymous with Betamax, but, as you point out, there’s some real value in the sharing concept. Also some ties in with B&N’s Nook device. In fact, it’d be interesting if comic stores took that Nook model to also provide some kind of comic browsing functionality. You could have a central third party providing a SaaS (software as a service) content management system with a monthly charge to the stores. This would mean the stores wouldn’t have to worry about hosting and or an IT infrastructure, but could reap the benefits as a browse turned into a purchase. As a user of a Zune (hold the tomatoes please), I really like this idea as it expands the database, and should give a great promotion. i have a zune. way better than any ipod ive ever owned. The digital comics are the only ones I get to read. And that makes sense. The market for comics isn’t that big in india, so why print them and sell them here? I like a digital copy from time to time, but I’m more of a read and delete kind of guy, or read and forget. The only downside to one of your points, Stephen, and it may only apply to me, is that I selected on the poll that I reread my comics at least one more time but there wasn’t a time frame on when I reread them. I almost never reread a title right away, it’s usually quite a while later when I’m flipping through one of my longboxes and see a cover I like or remember a story that was interesting and then I might pull a few out and reread them again. That or, I’m frequently having longer and longer periods of time between my LCS visits but my guy still holds them for me (granted he’s only pulling like 2 or 3 things a week or month in some cases now that New/Mighty/Dark Avengers have gone away) so I’m getting an issue 4 months after having read the previous issue and I’ll go back and reread the previous one or two in the line so that I know what the heck’s going on. I’m also a purist for lack of a better term, digital comics will only give money to the publishers, may ultimately push your LCS out of business as iTunes has helped kill off all the Sam Goody/F.Y.E./whatever your local music store was and on top of all that, I like having an actual possession in my hands that has physical weight that I can flip through. I know the deal with new comics never being worth much in the future due to how they’re treated today compared with how Golden Age books were treated when they came out, but I can never see a day where people are fawning over their vintage 2010 folder of Avenger .jpegs. It’s just not the same, plus I’d be super pissed if my laptop crashed and well damn, there goes all my comics. I’m cool with digital comics if there’s a good reader for it out there, Marvel’s digital comic service online is not very good in my opinion, I gave it a month to see if I liked it and I could never get an image to zoom right so I could read a page or then pan around the screen to see all that was going on, it was just frustrating. I just see digital copies more as a supplement to my comic reading. It’s nice to see some preview pages or a first #0 issue or something so that I can quickly determine whether a title is something I’d want to pick up. That goes along with feeling bad about standing in my LCS and flipping through the books too much like I’m in a library. So for me, the day that comics go completely digital is the day that I stop reading them. It’s sad and I’m sure there are people who think I’m bitching and that I’m stupid, but my enjoyment comes from going down the longboxes and finding those issues or looking at the beautiful new release wall and seeing the comics just sitting there waiting for me to take them home, and I like having a comic in my hands, not on my screen.